To work at our Head office in Rugby, Warwickshire. Undertakes the role of Company Secretary for the ACU and its various bodies. Supports the role of General Secretary, the ACU Chairman and Board of Directors. Stand in as General Secretary during periods of absence of the General Secretary. To assist with the lead on the development, implementation and monitoring of procedures and policies across the allocated range of responsibilities, and to ensure that services are Compliant with any Professional Standards, Statutory Regulations or Requirements as appropriate. Drafts the Agenda for all meetings of the ACU Ltd Board of Directors and drafts minutes of the Board meetings. Drafts agendas for the National Council meetings and Centre Chairmen/Secretary meetings. Coordinates the annual election process for elections to the Board of Directors / Sport Committees and the like. Provides assistance to the General Secretary in the management of insurance related matters and attends regular meetings re; management of Claims with ACU Brokers / Loss Adjusters. First point of contact for all staff related issues and then escalate to the General Secretary if required. Assist with the preparation of and update Conditions of Service for all staff for recommendation to the Board of Directors of ACU Ltd. Liaise with the Board on all Staff related issues. Ensure Staff Contracts are up to date. Conduct Induction briefings for new Members of Staff. 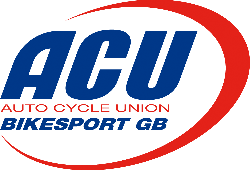 Liaises with and is the point of contact within the ACU Federation for matters related to FIM and FIM Europe. Co-ordinate and issue Governing Body endorsements for Migrants and their Sponsors who have applied for a Tier 2/Tier 5 Visa to participate in Motorcycle Sport Competition within ACU Territories. Responsibility for Health & Safety and the upkeep/management of ACU Head Office. Assists with the Coordination of the ACU Awards & Presentations evening. Coordinates the amendments to the annual ACU Handbook / Off Road Course Guidelines Handbook. Drafts the Risk Assessment for ACU Head Office. Provides support to Local Centres / Clubs on issues that may arise locally and provide advice/assistance as necessary. Sanitizes full sets of minutes from each Sport Committee and produces a Precis version to ensure no sensitive (contractual/financial or staff) related issues are disseminated to the membership. Distribute minutes to the ACU membership using the Bulk Email Facility. Draft and update the ACU Child Protection Policy and act as the point of contact for Local Centres/Clubs on any Child Protection issue which may arise. Be prepared to work occasional weekends as and when required (meetings of National Council, Centre/Chairmen Secretaries meetings and to attend Committee Seminars if required). Full time post – 35 hours per week (9.00am – 5.00pm). 20 days holiday each year including statutory public holidays. Non-contributory Company pension scheme. Salary: Negotiable with reference to experience. Please apply The Contact email is gary@acu.org.uk.